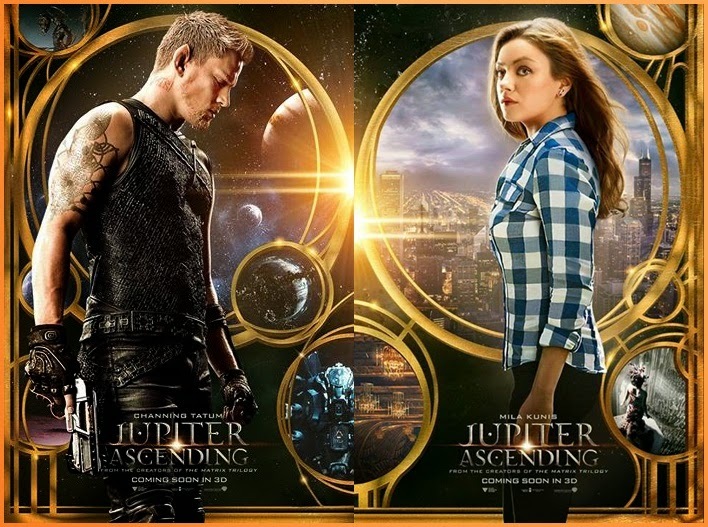 Jupiter Ascending - Expand your Universe! When I first saw the trailer of this movie, I didn't recognize Channing Tatum right away until I saw his name in the movie credits. For me, it definitely showed another side of him, a mature version of him coming from movies such as Step Up, The Vow, Dear John, Magic Mike, and many more. Pairing him up with Mila Kunis in this movie is a good choice. She was marvelous at Black Swan and Oz: The Great and powerful. ... in 3D and iMax 3D on July 17, 2014. Mark you calendar folks!